Oh, sure it is! Especially for a girl who must work early next day or for a girl who has the kind of migrane she never imagined she’d ever have. And next morning that girl wakes with a headache. Believe me, it’s NO fun. The good-bye party was though. As usually I didn’t know what to expect, but it was kind of fun. I’m sure it would have been a lot more fun if I could join the guys deep into the night. “Kicking it cigány style” – like really?! First, here’s a bit of videomapping for those who are interested (and who are in Budapest between 10-14 September). I have written about Bordos Artworks before, feel free to read more if you don’t know what videomapping is. Click on the pic to see details in the facebook event. Also, if you’d like to watch something else, pretty spectacular, but less artistic, go watch Guardians of the galaxy in IMAX 3D. Both the film and the IMAX 3D thingy are pretty cool. It was my first, but most definitely not my last time in IMAX 3D. So far I didn’t care the least bit for it. Really. I didn’t really know where I was going until I was just there. Bro called me during the day if I wanted to go and watch the film and I was like I don’t have a clue what you are talking about and he said it’s Marvel – so what? – and that there are space cowboys and a racoon in it. And that was the keyword. Racoon! Like, how the hell would I not go watch the funny film with the racoon?! 😀 I saw the trailer before Maleficent and I knew I wanted to watch it. It’s so funny! Okay, I’m more or less a sucker for comic adaptations, but well, that’s it. Take it or leave it. Not my problem. Okay, I should have put this in a separate film related post, but I’m kind of lazy lately to deal with my blog. I’m not a blogger, you know. It’s a pity though, because I’ve got a lot to write about. 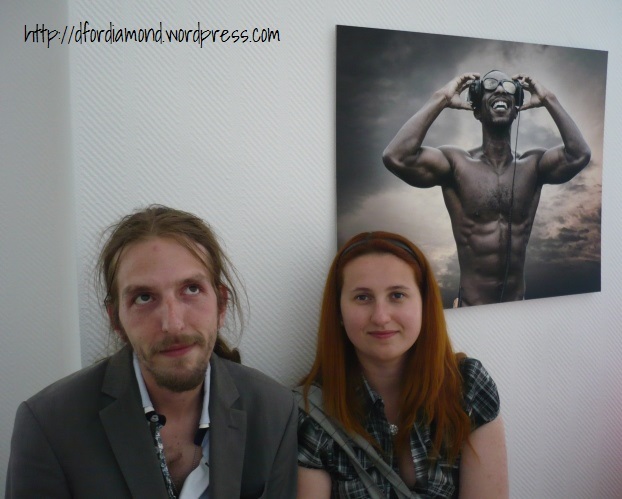 Like the photostudio opening I got invited to. Fotopaletta Studio is in Pécs, which is one of the cultural centres of Hungary. I’d say it’s almost at the end of the world, but it’s really not that far from Budapest. And although the last time I’ve been to Pécs was when I was just a kid, this was not the time to see how the city changed over the years. I’ve seen one of the centres, because the studio is in that centre, but we arrived just on time and we left later than I should have leave to get back to Budapest on time. Guess what, I was late from Zita’s birthday party. Don’t forget to like Fotopaletta Studio’s facebook page, so that you can see all the fun pics Tibor shares. Aslo, I hope you haven’t forgot about The Ocean Cleanups’s fundraising. Only a few days to go, so head over to the page, check out the project and help this incredible project come true! 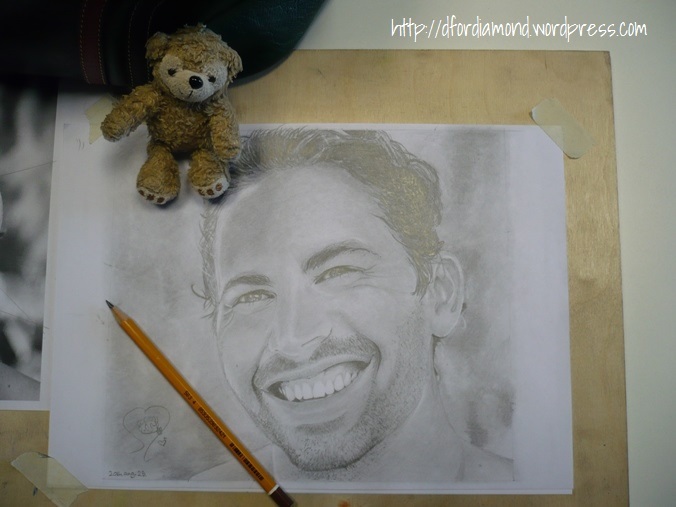 Yoshi chilling with Paul Walker – I know it could be a lot better, but hey, FIRST try, I’m proud of myself!!! Damn. My knee hurts again. I’ve found time to go to massage a week ago or so. Gergő is the best masseur ever, I really should go to him more frequently. Like, I should go to exhibitions more often. I like paintings. There’s no such amount of money that I could not spend on paintings. I could say I wish I could paint, but well, some things don’t work for me and painting is one of these. And I’ve done it before. I’ve admired stuff and I started learning how to do those stuff and I cannot enjoy them as much as I used to ever since I can see behind them. As much as it is exciting, it’s also ruining the illusion. Okay, so, before I get even more philosophic I finish this post. It’s been enough rambling. Even for me. This entry was posted in életem/private and tagged 3D, Bordos Artworks, Budapest, cinema, drawing, Emeli Sandé Daddy, film, Fotopaletta studio, Guardians of the galaxy, IMAX, movie, Pécs, photographer, photography, The Ocean Cleanup, Tibor Suhajda, trailer, videomapping by Dorie. Bookmark the permalink.